Carv comes from the Talenta Plains, an area that was wracked by combat in the Last War. He is a halfling ranger that specializes in archery and often flies glidewings. Carv's life took an unexpected tragic turn when Valenar mercenary elves attacked his tribe, the Black Claw, with a massive force that killed everyone. Carv was injured severely and left for dead. But Carv was determined to survive and survive he did. Traveling across the continent Carv set out in a goal to become a great hero, so that the name of his tribe could at least live on in legend. 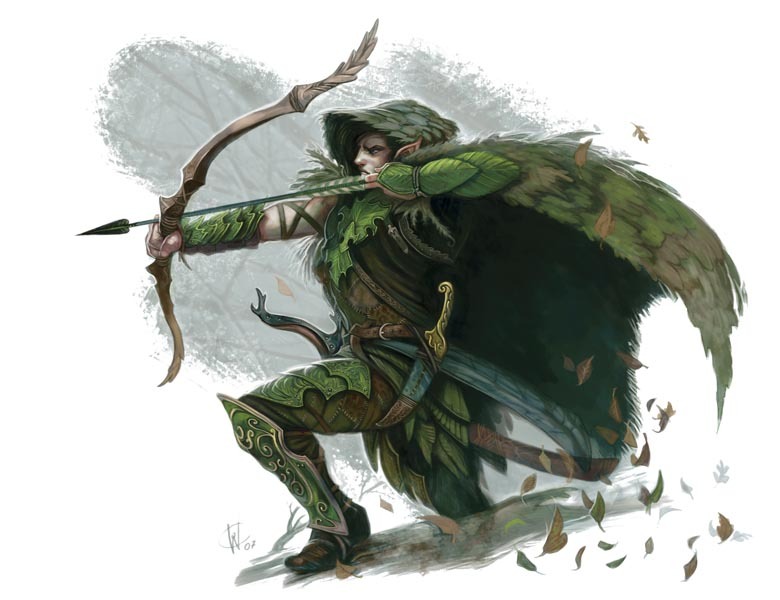 Between that and his hope to someday find justice for his tribe by striking back at the Valenar elves that attacked his tribe, he has been adventuring across the lands. One day in Sharn he stumbled upon a group of heroes (Kaylna, Tulthus, and Finn) fighting to stop a villainous plot of poisoning the water supply. Helping them defeat these villains, he decided to stick around with them. He has a filling that these heroes actions will help his tribe live on in legend, if they don't die first. Carv's glidewing, Dark Wing, recently died in a fight against mercenaries. Saddened he is keeping an eye open for a glidewing or clawfoot that can live up to Dark Wing's loyalty.